As expected, EA today revealed a new game in the Battlefield series, and as expected, it's part of the publishers Play4Free line of PC games that let you, well, play for free. 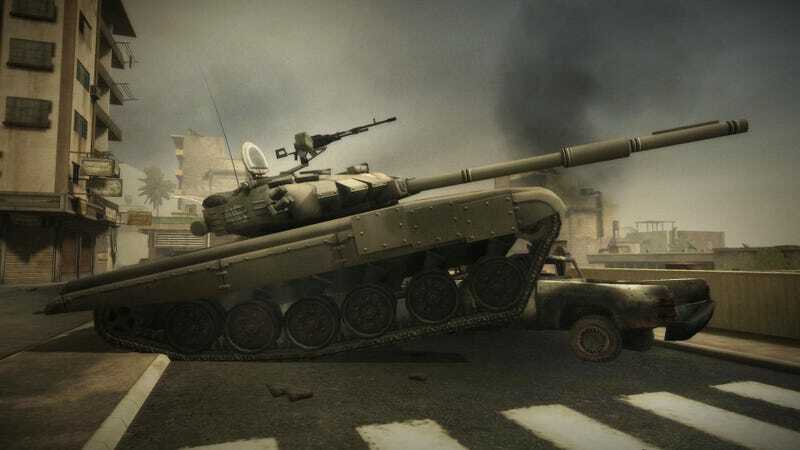 Battlefield Play4Free pits the forces of the United States and Russia against each other in a 32-player online combat game for the PC that, like its "free" predecessor Battlefield Heroes, won't cost you a pretty penny to download or start playing. Sadly, there's no word yet on what happens once you start playing for free, like how much it'll cost you to get the decent weapons or equipment. Balancing the free players with the paying userbase is always the knife's-edge decision that makes or breaks these kinds of games, and since it broke Battlefield Heroes, here's hoping EA gets it right with this one. Battlefield Play4Free combines elements of some of the more recent games in the series, like maps from Battlefield 2 and classes and weapons from Battlefield: Bad Company 2. The game launches in Spring 2011. You can sign up for its closed beta here.